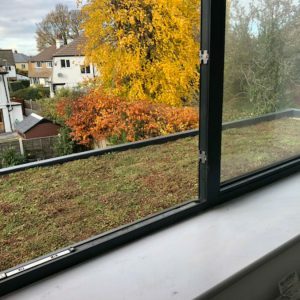 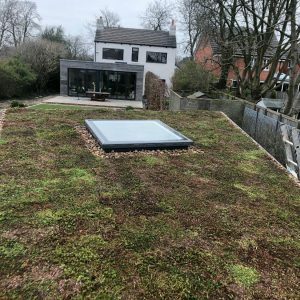 What is a Green Roof? 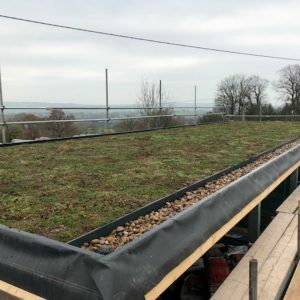 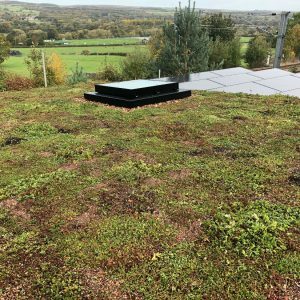 The roof is newly laid but already you can see the variation of sedum types we use. 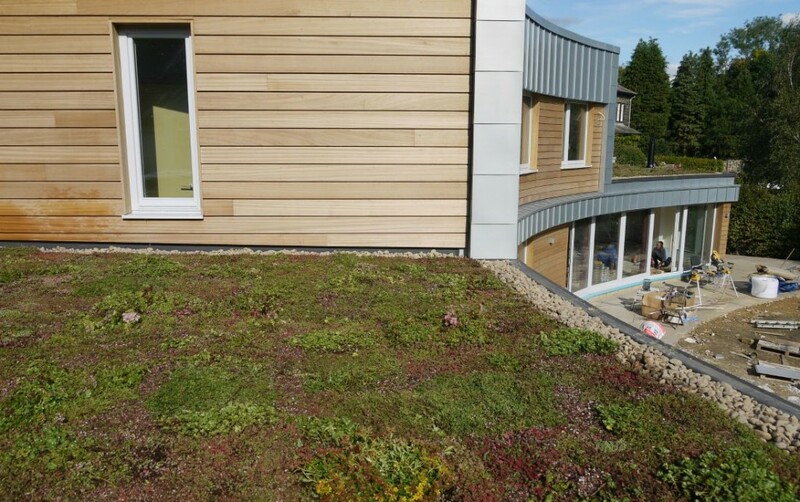 Over time the sedum will grow and produce a multicoloured carpet on the roof of this very stylish building. 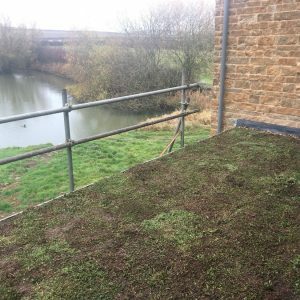 Now look at it! 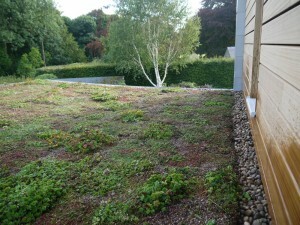 7 months on and the sedum is really bedding in and growing well.